was founded by Jeremy Alexander and Randall Alexander, a father and son team. They began their journey more than seven years ago, and have continued to grow and expand their knowledge and customer base thanks to the great family of customers that are loyal to Alexander Homes. We love building decks, porches and patios, and take great pride in the projects we build and the personalized service we provide. Serving Kansas City, Independence, Johnson County and all surrounding areas. 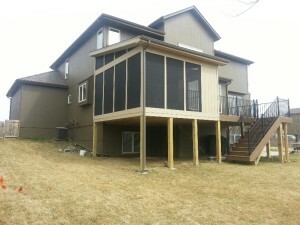 We are fully insured, and will be more than glad to provide references upon request. 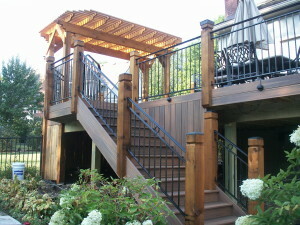 Our main focus is to build high quality, premium decks, large or small at affordable prices. Attention to detail is key to our business success and we stand behind every custom creation we build. Alexander Decks offers a wide selection of decking materials, including low maintenance, environmentally friendly synthetic/wood composites, as well as natural wood obtained from sustainability managed woodlands. Preliminary discussions with homeowners before each project gives us the opportunity to better understand the needs and desires in helping to recommend the appropriate design and choice of decking material for a particular situation. It is important that we work closely with the homeowner during the design and construction phase so the needs and wishes of the homeowner are realized.